N Plus Networks is the premier data center in the Canadian Technology Triangle, providing the most advanced data center services to Southern Ontario and North America. N Plus Networks has been established with the vision of creating the world's most efficient data center design while providing much needed advanced data center services to the vibrant community of companies in the Kitchener – Waterloo region and many Fortune 500 companies vying to establish a presence here. 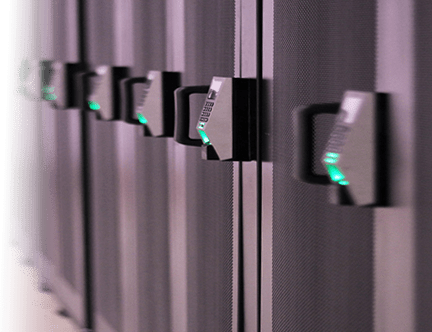 Take advantage of discount colocation pricing without sacrificing service, features or performance! Contact N Plus Networks for a custom data center solution today. N Plus Networks boasts 100,000 square feet of purpose engineered space and leading edge security utilizing facial recognition and client controllable biometrics to each rack backed by redundant A-B power source, diesel generators, battery backups, efficient cooling, and a self-healing 100Gbps network infrastructure with multiple multi-gigabit connections to several separate Internet providers (including, Bell, Rogers, Cogent, AT&T and more) and supporting a private connection to 151 Front St. Toronto, the 'Telco Hotel'. N Plus Networks management is a team of all stars with over 100 years of data center experience and proven track records of accomplishment having developed several successful ﬁrst to market products in the past.